They say beauty is in the eyes of the beholder. However, in this case the beauty comes to you through your ears and then works its way to your heart and soul on Learning To Fly. 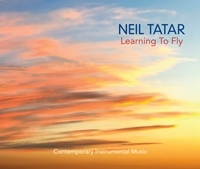 This 9 track album from Neil Tatar offers the listener an audible journey of the soul. As he says in the CD notes “Each track on this album comes from memories of life experiences, reflections on personal and meaningful moments that have ultimately shaped my world.” That says it all and you can take that to heart and find your own way through these musical journeys. So how does one translate these life experiences through instrumental music you may ask? I experience this frequently and can say without any doubt that I can feel more and envision so many different things while I listen to this type of new age instrumental music. To be more precise, the artist refers to this music as contemporary instrumental which is like a “blanket” term that covers everything on the recording. I think that is appropriate considering what a potential listener has in store once they give it a spin. To say this album is laden with talent would be a good place to start. Besides Neil’s gorgeous and effective guitar and piano playing he has the incomparable Tony Levin on various basses, Jill Haley on English Horn, Jeff Haynes handling percussion and Mr. Will Ackerman on guitar (“Summer Strut”). Also Michael Manring, another bass player that shows up on a lot of albums, plays on one track (“Twilight Dance”). I honestly do not know where to start with bringing attention to certain tracks as they all are stunning works of art and beauty. As I made my way through the first four tracks I was mesmerized when “Twilight Dance” began to play and I realized that I was hearing one of the best new age CDs of the year. The guitar leads you into another world with layers of sounds that have jazz and world undertones bubbling to the surface. It is the most eclectic and interesting track on the recording. What I heard on Learning To Fly was the perfect blend of instruments and atmospheres. If you already know how to fly (and that interpretation is up to each individual listener) or want to learn, this music will enhance that experience. For this listener it held a few meanings. I felt as if I could appreciate the beauty of life itself and reflect upon my life and all the love and gifts that surround me. It is a journey without question, it just depends where you want to go and what you need to accomplish along the way. I found peace and transcendence in this music and I hope every listener can be open to that type of experience. Because every track was so outstanding I have to say that each was a key track in its own right. Again personal preference rules the day here and each individual will find certain tracks to have more impact as with any album new age or otherwise. “Summer Strut” is the quiet storm of jazz taken a path of exploration and the music spreads its wings and takes flight. It is definitely something that would sound right on a summer’s day. It’s light and airy and brings a smile to your inner being. 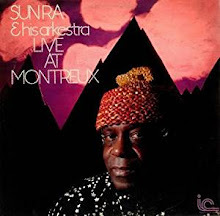 I especially enjoyed and appreciated the combination of jazz, new age and world music. Like a strong and divergent tree this music grows and spreads out to give every listener something to connect with. And with that my music loving friends I highly recommend Learning To Fly.